The oscilloscope experience redefined - InfiniiVision 4000 X-Series oscilloscopes. These 200 MHz to 1.5 GHz oscilloscopes deliver waveform update rates 20 times faster than the competition, the power of MegaZoom IV smart memory, and an intuitive GUI – all with a capacitive touch screen interface. Experience the speed with the ability to find the most difficult problems in your design with 1 million waveforms/sec update rate, MegaZoom IV smart memory and standard segmented memory. 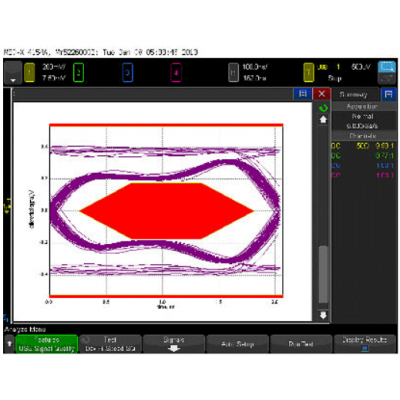 Experience the usability of the first oscilloscope designed for touch capability with the industry’s largest 12.1-inch capacitive touch display and innovative InfiniiScan Zone touch triggering. 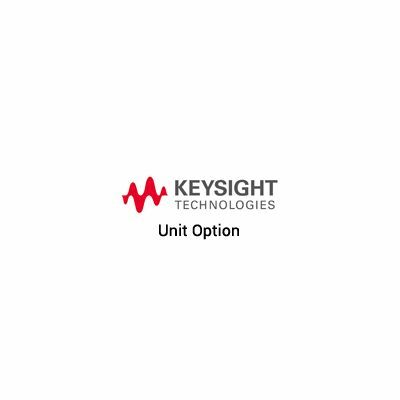 Experience the integration of 5 instruments in one: oscilloscope, logic analyzer, serial protocol analyzer, WaveGen built-in dual channel arbitrary/function generator, and integrated 3-digit voltmeter, with the ability to upgrade your scope at any time for complete investment protection.